A garden log cabin is a terrific addition to most gardens but before you start realising your garden dream you need to stop and check if you need to get planning permission. Your first port of call is your local council. After an initial chat about your plans they will advise you of any particular circumstances surrounding your building. You may think your project is straightforward and it usually will be – but always check. It's also a good idea to chat to any neighbours who may be affected by the cabin. Get everyone on side from the start. A log cabin can add so much to a garden and your lifestyle. This ultimate of outdoor rooms can be used as a work area, a teenager’s den, a play room or simply a place to sit and relax. Before installing or making any log cabin just make sure you don't (or do!) need planning permission. The quickest way to getting an indication is a phone call to the council, explain exactly what you are planning and get their OK. It's also a great idea to chat to any neighbours who may be affected by the building. You do need to plan a log cabin carefully as chances are you will want electricity and possibly water in your new building. It's always best to get these plans sorted before installation begins. Once everything is in place, and whether you build your own or buy a ready-made log cabin, the foundations have to be solid. Any supports should be concreted in place. After the ground work is done, the nice bits can happen! This can be the trip hazard for many people. Obviously, if you have set your heart on a garden office you want it to work – but you really have to consider neighbours and the impact any possible building (log cabin, shed, summerhouse) will have on them. The rules governing permissions are set but having said that, if they infringe negatively on your neighbours you may be declined. There are a few simple procedures to make sure everyone is happy and you don't break local planning rules. The beauty of a log cabin is the enormous number of ways you can use it. The typical image of a log cabin or summerhouse is a place to relax in the warm sunshine, and maybe to keep a deck chair or two. But there are so many more log cabin uses to choose from. Consider whether it would be a good den for the children or a home gym with fitness equipment. You could turn it into a games room or entertainment centre, an office in the garden, or even a music studio. All these things are possible and you’ll wonder how you ever managed without it. Add up all the money you’ve ever spent on gym memberships. A lot, isn’t it? Wouldn’t it be so much better to get yourself some decent gym equipment and put it in your log cabin? Of course, it would. Prolonged exposure to the sun's harmful rays can cause quite a bit of damage to a log cabin. This is exactly why it's important to take extra care of log cabins in order to ensure they not only remain pleasant to look at, but also structurally sound to ensure the safety of everyone inside them. Let's take a look at some of the ways to help ensure log cabins remain safe and maintained this summer. If you've ever been inside of a cabin and have noticed a strong, foul odour coming from the walls, then chances are it's undergoing a case of wood rot. This is caused by a fungus and insects that discolour and ultimately destroy wood altogether. Wood rot can be the cause of complete structural failure in a log cabin, so it's important to get it dealt with as soon as possible in order to have any chance of repairing the damage that the cabin is currently experiencing. 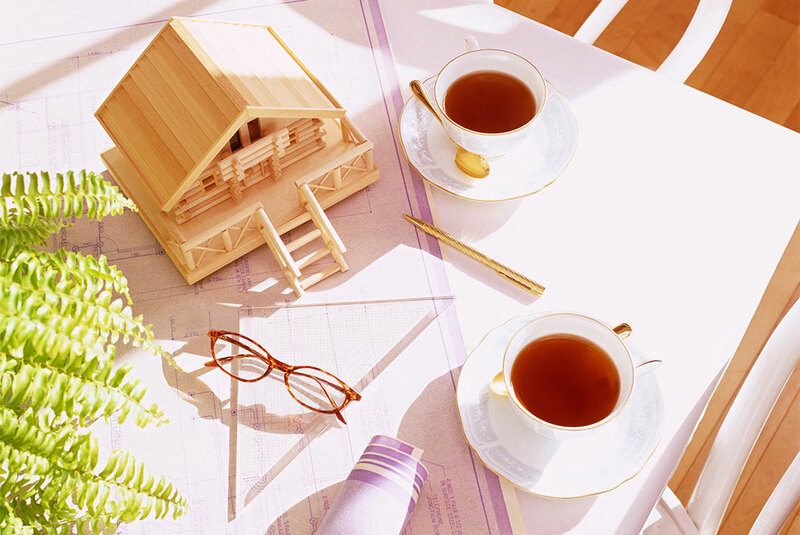 The intention for cabin decor, whether traditional or modern, is to create a charming and cosy environment. Just the thought of a log cabin creates in the mind images of a little log house with a shake roof nestled by a lake amongst a grove of trees. The image likely involves a stone chimney with a bit of wood smoke puffing out. While this may be the image people think of on the exterior of a log home, it is really the interior of the log home that speaks to its charm. The styles that people use to decorate the log cabins are as diverse as the people themselves. The people make the cabin feel quite like home whether they use antique, traditional, or contemporary furniture. Other styles found in log homes may also include more modern or eclectic looks. The following log cabin decorations talk a bit about the different styles and how the styles can be incorporated in a log home or cabin. Each New Year brings a sense of rejuvenation into the world, often serving as the perfect motivation for people to get a head start on their New Year’s resolutions (as well as hunt for all the great New Year’s discounts!). Whether your goal is to get fit or finally start that home business you’ve been dreaming of, one of the best ways to get the New Year off to the right start is to dedicate a space for achieving your goals. Adding a log cabin to your garden can offer the ideal amount of space you need whether you’re planning on building a home gym or home office, and the benefits begin with the affordable building materials. In addition to setting a rustic ambiance for those seeking to connect with Mother Nature, they are incredibly versatile buildings and can be a great change to your garden and the examples below show just some of the ways they can be used.